Offering ReMOTE QuickBooks Bookkeeping Services, On-Site QuickBooks Set-up, and Training for $30 per hour with a 4 hour minimum For Onsite Clients. 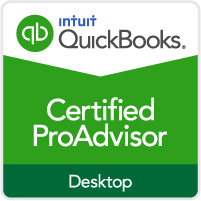 All services are provided by a Certified QuickBooks Pro Advisor with 17+ years of QuickBooks bookkeeping experience. Providing quality remote bookkeeping services to small and medium size businesses in an efficient and effective manner. Our goal is to take the fear out of bookkeeping tasks, equip owners and administrators with the tools they need to run the company as profitably as possible. We specialize in the set-up of QuickBooks, training of new users, and providing bookkeeping, reporting and consultative services to businesses who do not have a full-time bookkeeper on staff. We will handle everything from creating invoices to calling overdue clients, sending out statements, to running P&L's. 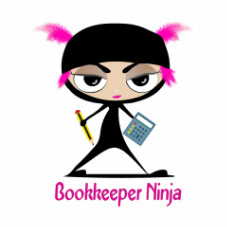 Whatever your QuickBooks needs Bookkeeper Ninja can help!